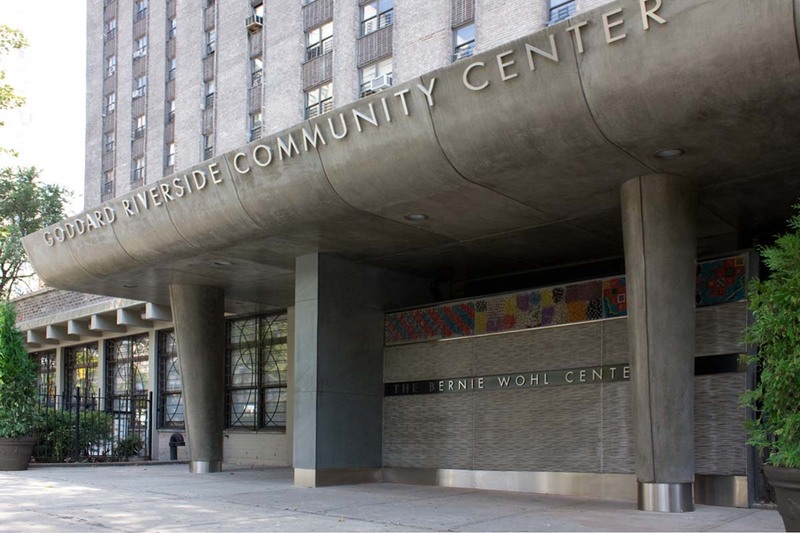 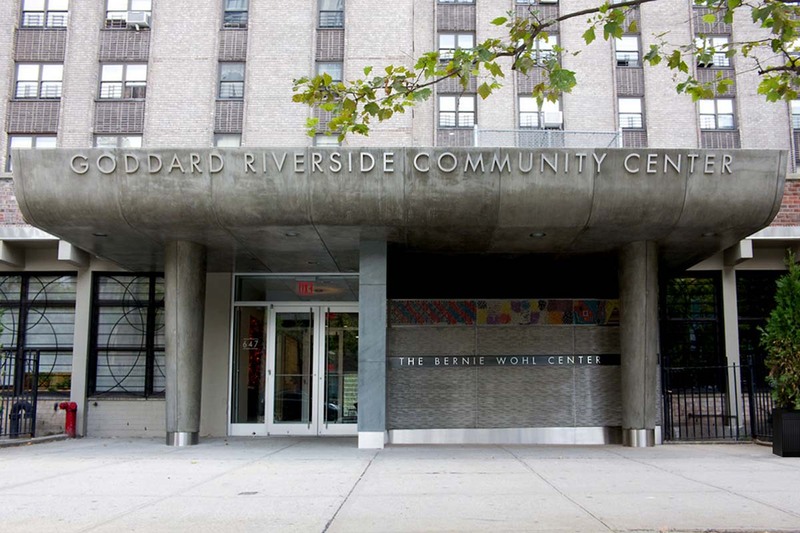 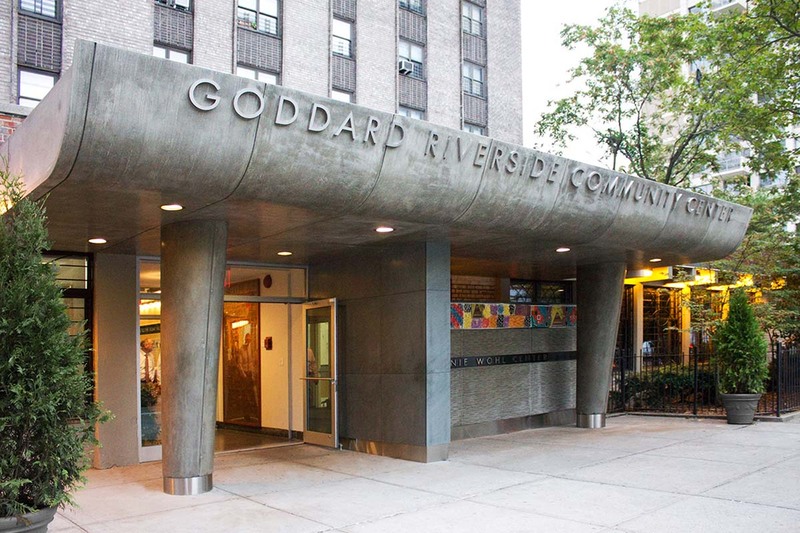 Goddard Riverside’s Bernie Wohl Community Center is currently entered mid-block under an uninviting concrete canopy in a public housing high-rise building. 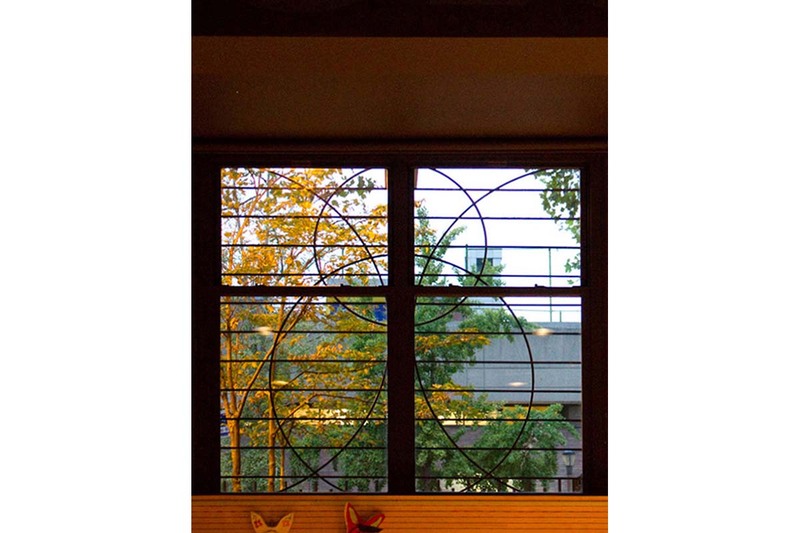 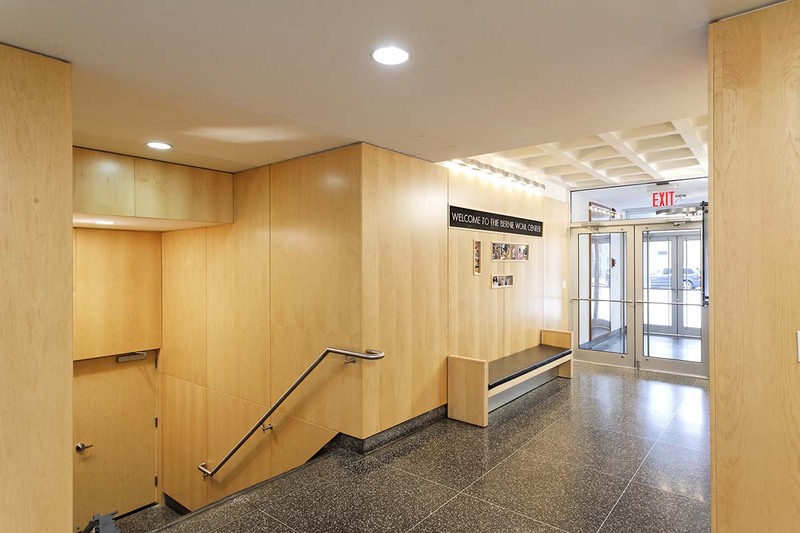 MDA’s redesign incorporates an inviting new entry that skillfully envelopes the existing structure, calling attention to the entry with color, form, materiality, and a sign wall announcing its presence. 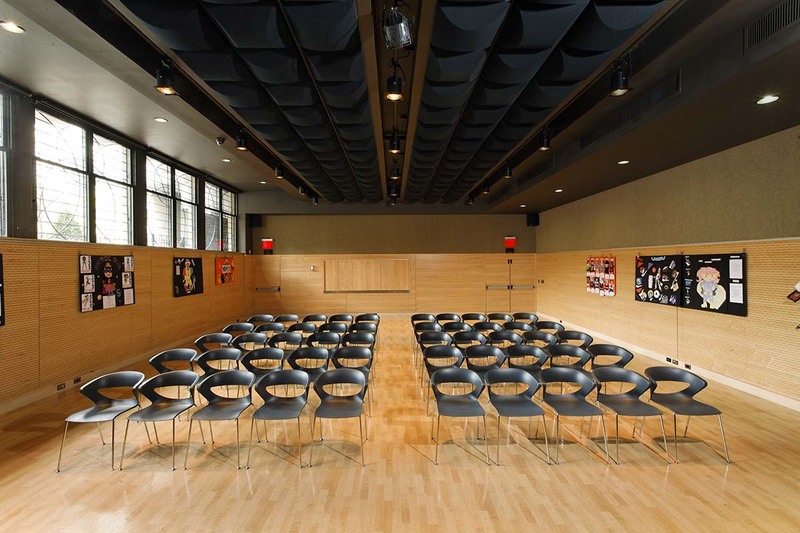 ADA access is now provided directly from street level, gracefully delivering guests to the new multi-purpose theater space, one-half level below. 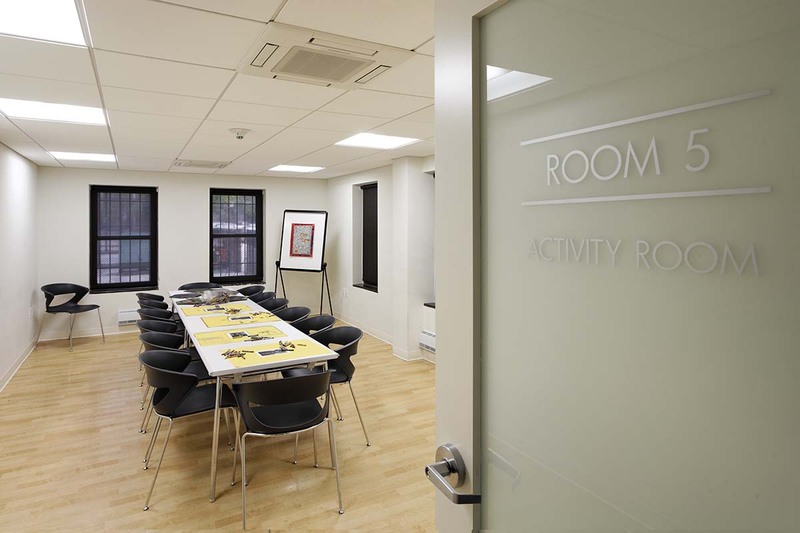 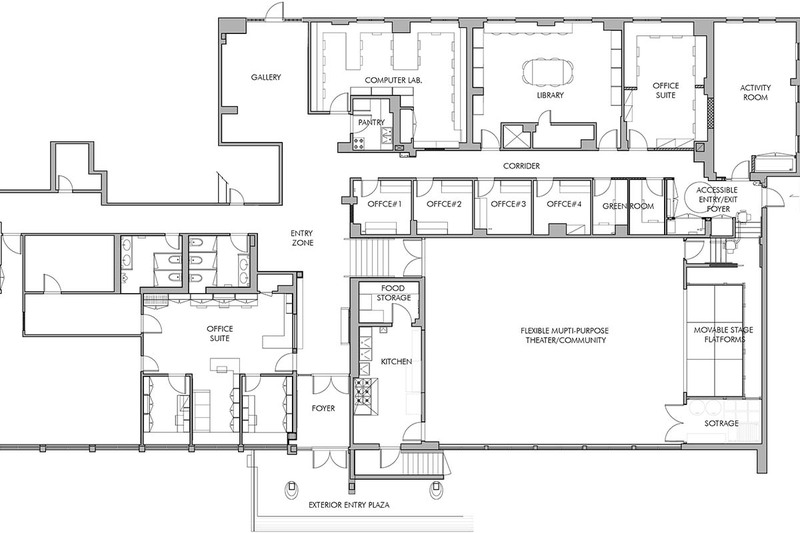 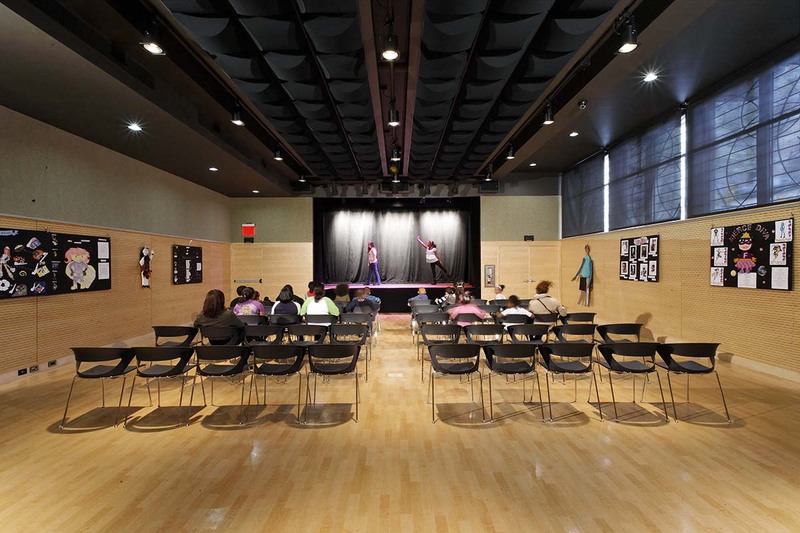 The flexible black box community space can now serve theater, arts and social service functions in a wide variety of configurations. 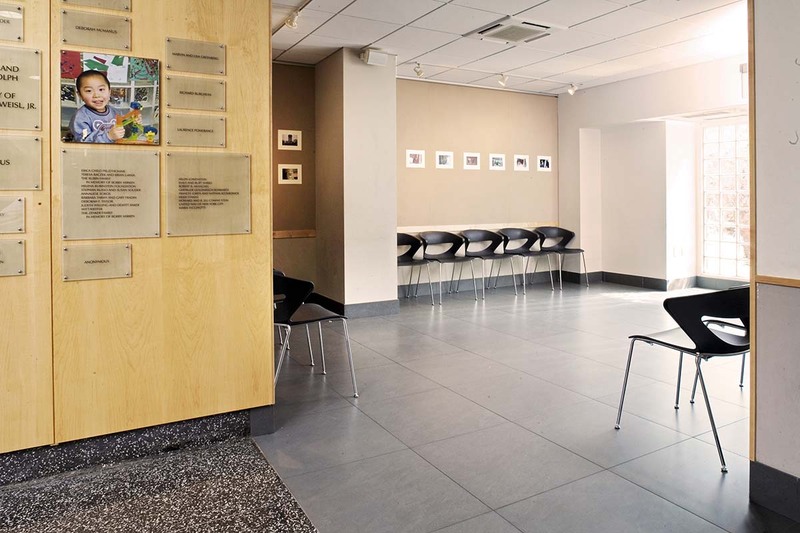 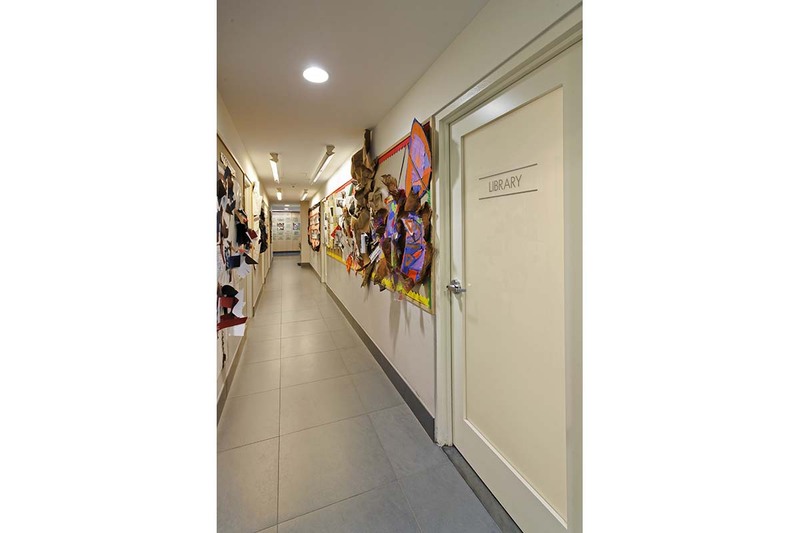 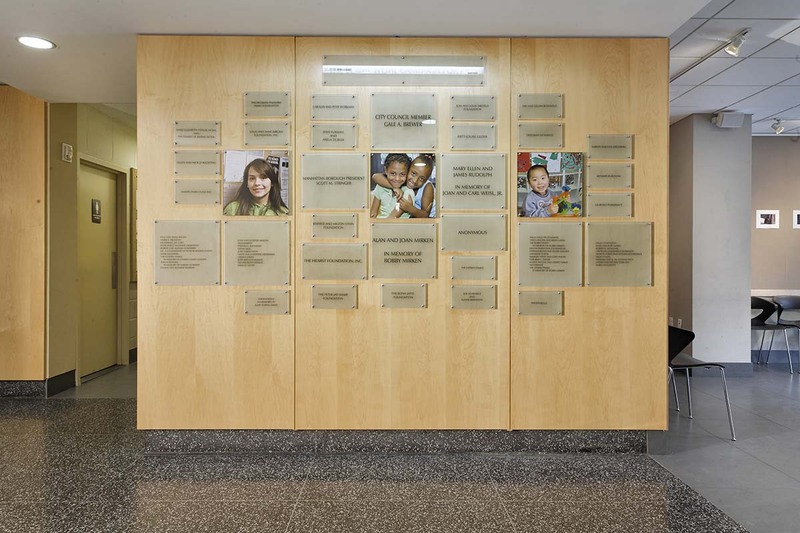 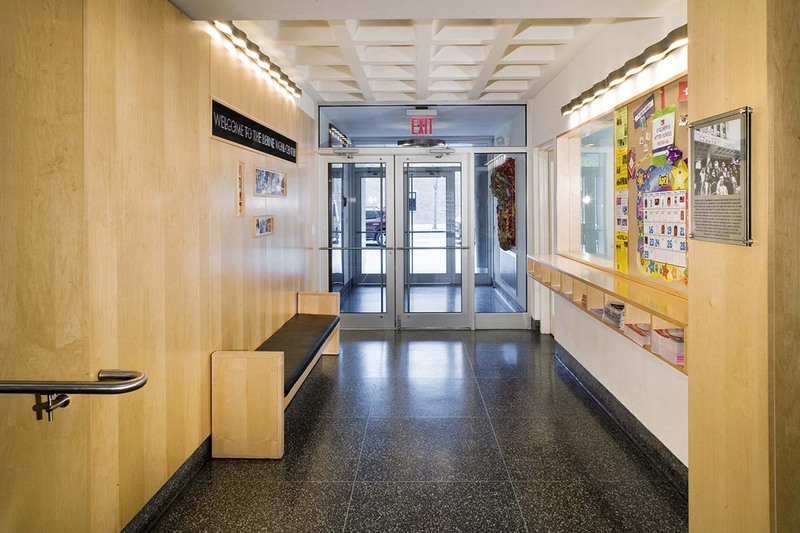 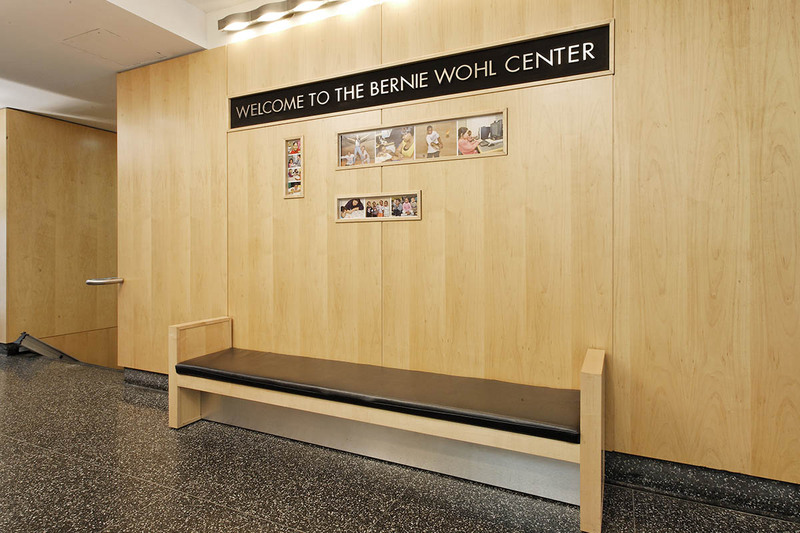 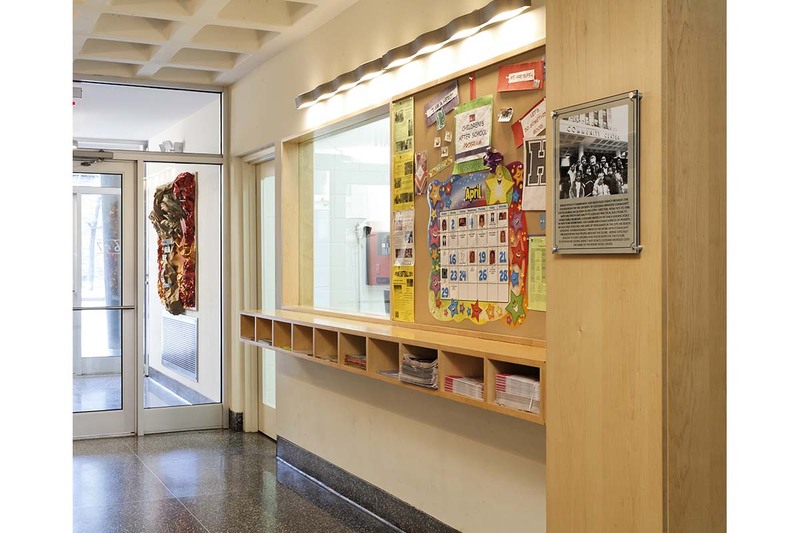 The facility, inaugurated as the Bernie Wohl Center, houses performances, after school programs, summer camp, and other community support programs. 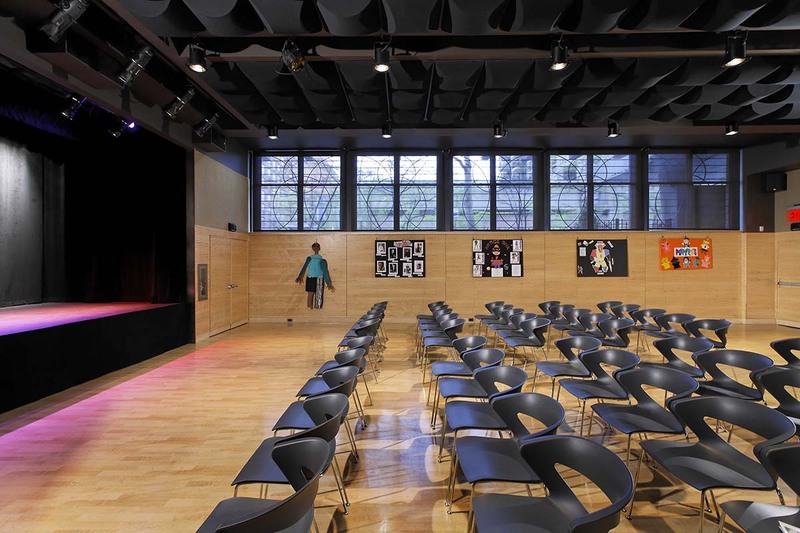 MDA’s design transforms the current multi-purpose community space in the base of a housing tower into an attractive black box theater to serve as a neighborhood venue for performances, community events, youth programs, and services for those in need. 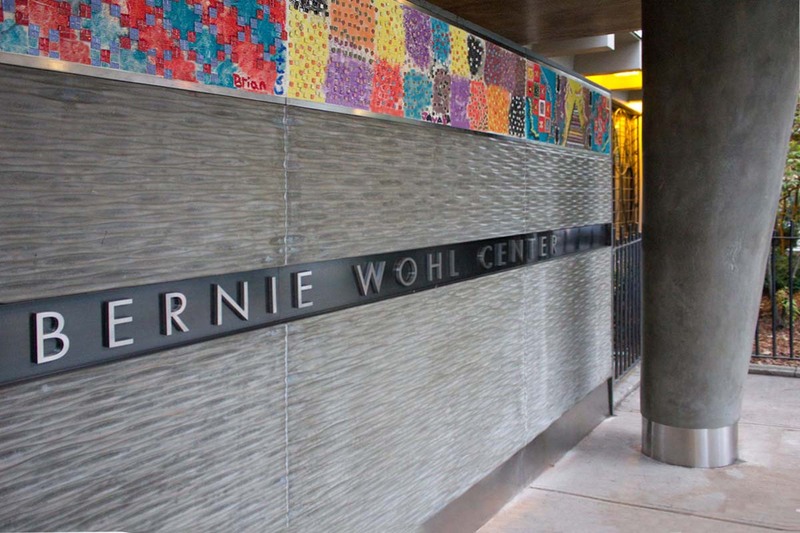 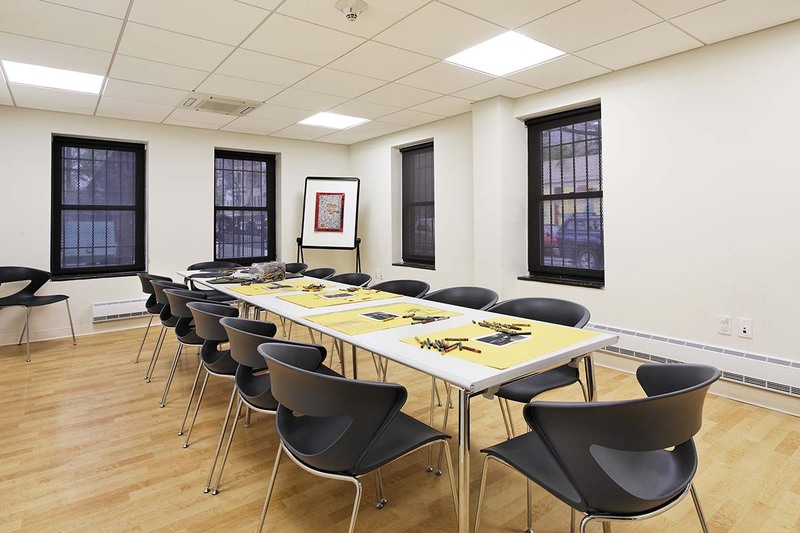 Creating a theatre and community space where people come together – old and young, homeless and housed, able and disabled – is a tribute to Bernie Wohl’s belief in an open and welcoming community for all.